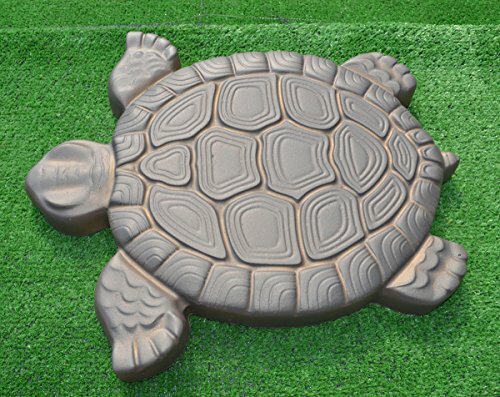 One piece is sold multiple mold for making a turtle size 15.75 "x 13.39" x 1.5 "(40 x 34 x 3.8 cm). With one mold can produce more than 50 turtles for arranging garden paths. Depending on the geometry of the product wall thickness can form less than the above dimensions. +FREE DELIVERY airmail shipping with tracking number FEEDBACK: Positive feedback and good reviews is so important to our business. If you had a good experience please leave positive feedback. If you ever have a problem or issue please contact me via amazon messaging. I am easy to work with and am very proactive in finding a solution for you. size 15.75 "x 13.39" x 1.5 "(40 x 34 x 3.8 cm). The mold is made of ABS plastic thickness of 0.078" (1.9-2 мм) It can be used for casting plaster and concrete. With one mold can produce more than 50 turtles for arranging garden paths. View More In Outdoor Statues. If you have any questions about this product by Betonex, contact us by completing and submitting the form below. If you are looking for a specif part number, please include it with your message.